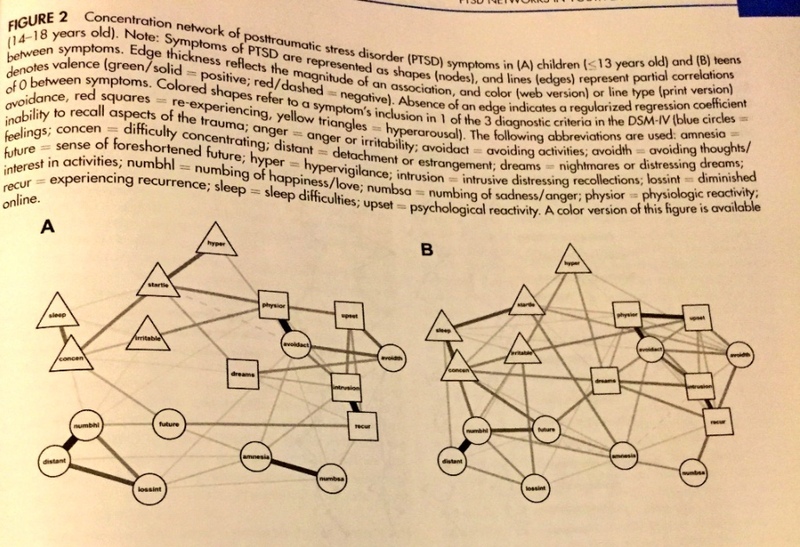 To evaluate current theoretical assumptions about the nature of pediatric posttraumatic stress disorder (PTSD) by examining the network structure of PTSD in a sample of youth exposed to disasters and testing for age differences. Network analysis provides the opportunity to identify “central” symptoms that might hold an outsized influence over others and are important targets for research and treatment. The authors hypothesized that particular symptoms would exhibit greater influence over others. They further hypothesized marked differences in symptom networks across children and adolescents. 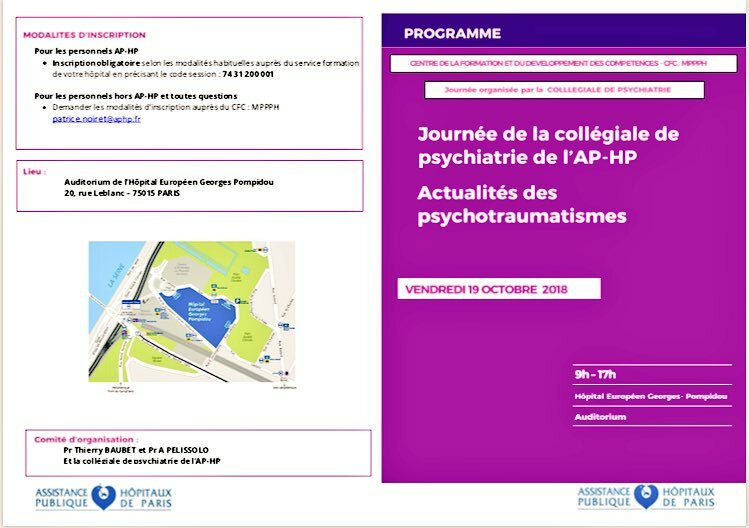 Participants were 786 youth 8 to 13 years old (children) and 14 to 18 years old (adolescents) exposed to Hurricanes Katrina and Gustav who were assessed for PTSD symptoms using the University of California–Los Angeles PTSD Reaction Index for Children. Network models were computed and constructed using the R-package qgraph, which estimates associations between symptoms and forms graphic network models. Consistent with the hypotheses, the symptom network demonstrated meaningful variability across age, particularly in the strength of associations, and the relative importance of individual symptoms to the network as a whole. Results further demonstrated that symptoms cluster together in a manner that adds a unique perspective to current model conceptualizations. Network analysis is a potentially important additional conceptualization of psychopathology with related data analytic techniques. Results suggest that PTSD can be characterized as a web of interactions between symptoms. This work illuminates differences in the PTSD symptom network across development, such as the link between numbness of negative affect and amnesia in children, but not in teens, and how the critical symptoms within that network differ across childhood and adolescence. Network analysis could allow the re-envisioning of the nature of this complex disorder with new avenues for research and clinical practice. 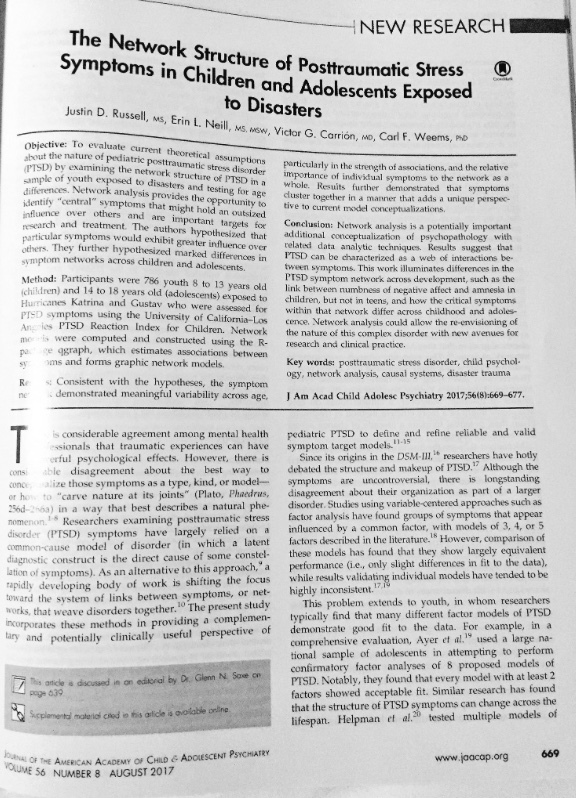 This article is discussed in an editorial by Dr. Glenn N. Saxe on page 639. This research was made possible by a foundation grant from the Institute of Mental Hygiene to C.F.W. Disclosure: Drs. Carrion and Weems, Mr. Russell, and Ms. Neill report no biomedical financial interests or potential conflicts of interest. © 2017 American Academy of Child and Adolescent Psychiatry. 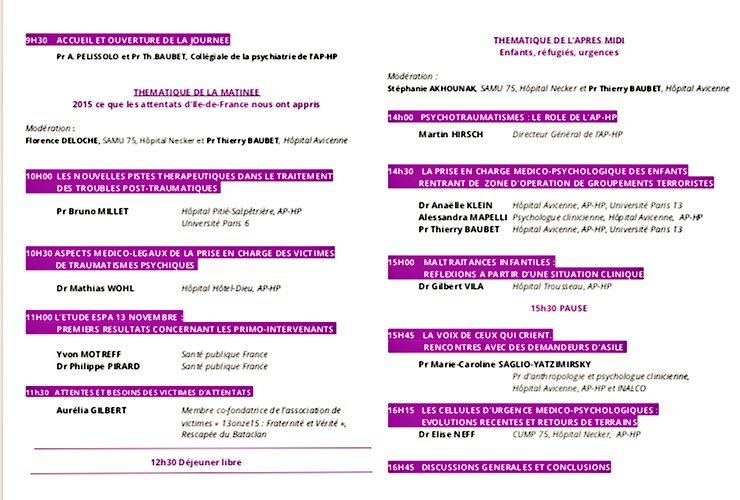 Publié par Elsevier Masson SAS. Tous droits réservés.